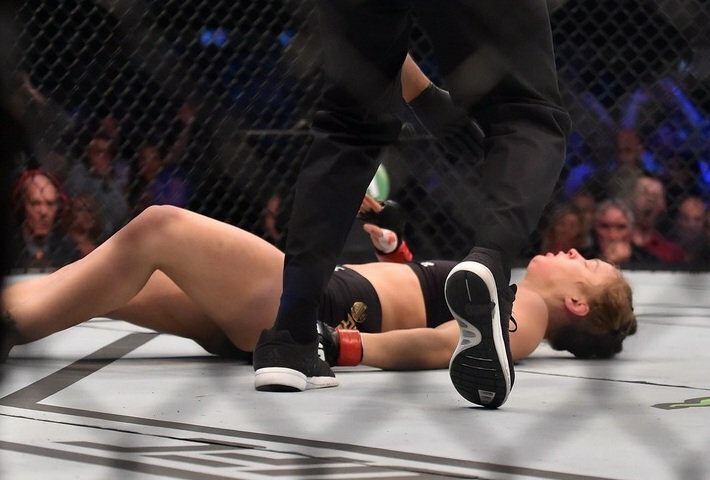 As Ronda Rousey crashed to the canvas at the hands of a thunderous head-kick from Holly Holm, the prospect of retiring undefeated crashed with her. A record-breaking attendance at Melbourne's Etihad Stadium witnessed the most shocking moment in the history of the sport. It was shocking for a reason. That reason? Well you needn't look further than the stellar career of the former champion. Ronda Rousey had transcended mixed martial arts to new found heights, her stardom was on an astronomic scale. Anyone who was put in front of her was demolished in emphatic fashion. However, this time round. It was an unlucky thirteenth fight for "Rowdy". She was at the receiving end of an emphatic finish, outclassed Down Under, finished less than a minute into the second round through a head-kick and punches. 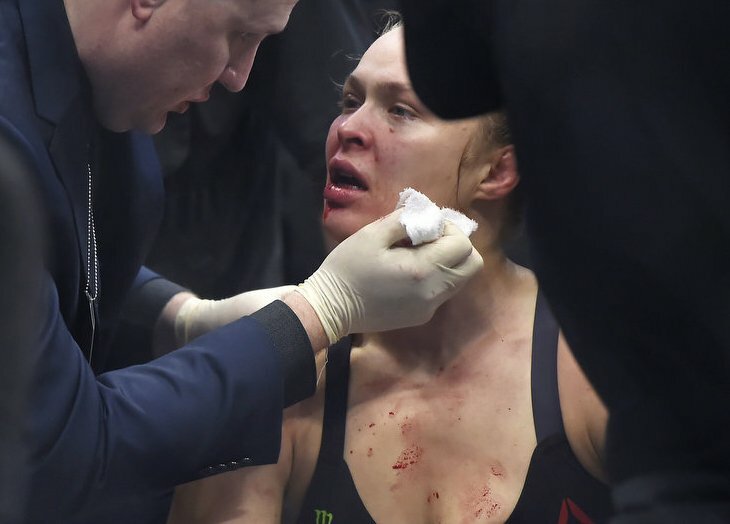 Just like the former champion will be doing, many experts and fight fans will spend the next few days trying to get their head wrapped around the events from UFC 193. Holly Holm was an extreme underdog in the fight, yet she showed exactly why this sport leaves no space for undefeated records. Anderson Silva's dethroning over the course of two losses in title fights with Chris Weidman was a prominent reminder, many years after Georges St. Pierre was flattened by Matt Serra. The manner in which Ronda had dominated followed suit, but when she was knocked out cold, a collective gasp was shared by the world. Following the male martial arts icons, having a female fighter who catapulted the sport to new heights made a lot of things hinge on it. 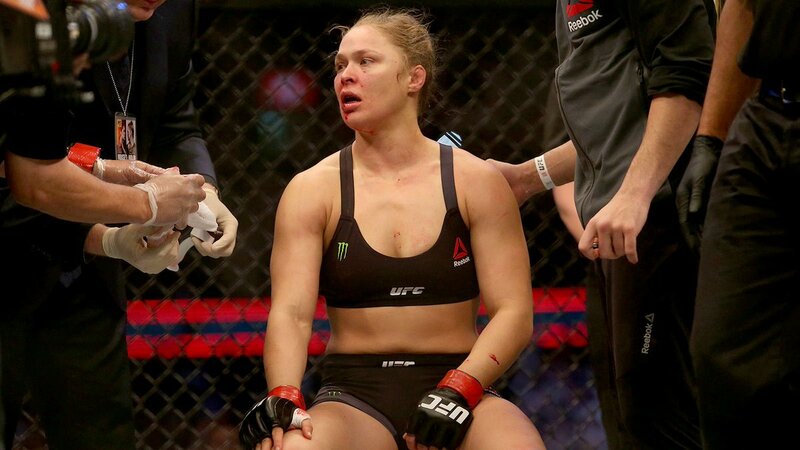 Known as the "World's most dominant athlete", Rousey's knockout loss will be remembered for years to come. It's another lesson. In comparison to other sports, mixed martial arts is very young. Dominant athletes will come; and whether they remain dominant will lay to the question of how much the sport grows. 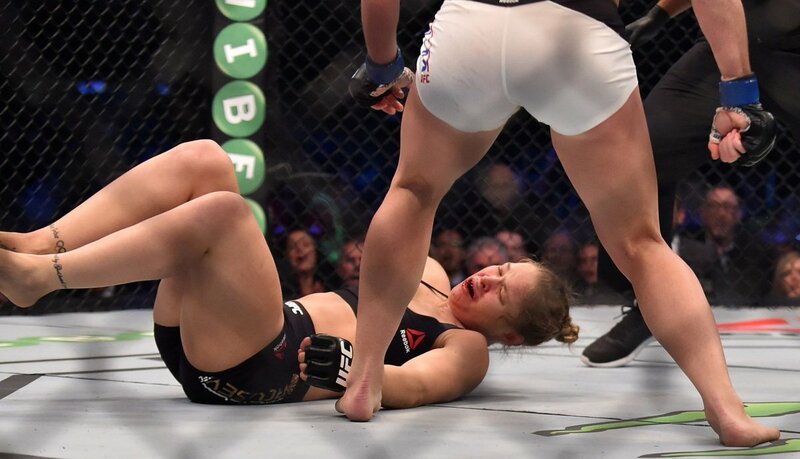 Ronda Rousey was outmatched on the striking, it was a perfect storm. Just like every sport, people or teams catch up. In the sport of combat that may take longer, but it will still soon happen. MMA is no exception. That's why we love this sport. It's unpredictable, thrilling and heartbreaking all at the same time. It taught the world another lesson in Melbourne. Ronda Rousey is far from out of the picture but she is not invincible. When you're in a type of sport like MMA, where everything is so complete, you just can't be the best at everything. That is why, sooner or later, you get defeated. Fighters come close to proving it wrong, but they fall short. Ronda fell short.